Supermarket giant Sainsbury's has weighed in with its very own Nintendo 3DS pre-order offer, and you'll be able to get the gaming hand and a fistful of Nectar points for £199.99. That's £3 cheaper than rival Asda – for now at least – and Sainsbury's will also throw in 1000 bonus Nectar points. Gurdeep Hunjan, Sainsbury's games buyer, comments: "If you're looking for a Nintendo 3DS, this is a great way to secure one now and save some cash." Sainsbury's pre-ordering launches in over 300 larger stores today and is also available online from http://www.sainsburys.co.uk/entertainment. The offer will run "until allocated stocks last". 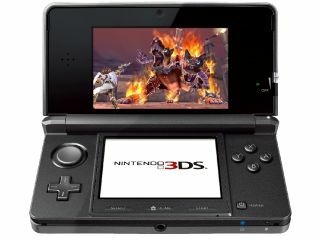 The 3DS is scheduled to arrive on 25 March and brings a much-vaunted autostereoscopic 3D screen. The mobile console is expected to be a major hit for Nintendo, despite a price tag that pitched it squarely against some of the major players in home consoles like Xbox and PlayStation.